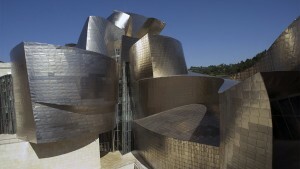 Bilbao has joined the UNESCO Creative Cities Network in the design section. The UNESCO Creative Cities Network is a network of creative cities, working together towards a common mission for cultural diversity and sustainable urban development; it seeks to develop international cooperation among them, in the framework of partnerships including the public and private sectors, professional organizations, communities, civil society and cultural institutions in all regions of the world. The Network facilitates the sharing of experience, knowledge and resources among the member cities as a mean to promote the development of local creative industries and to foster worldwide cooperation. There are currently 69 member cities around the world in seven creative industry fields: Craft and Folk Arts, Design, Film, Gastronomy, Literature, Media Arts and Music. The industries of the twenty-first century will depend on the generation of knowledge through creativity and innovation. Many first world countries see the creative industries as a key component in a new knowledge economy. It is often argued that the ideas and imagination will be the greatest asset and in support of this argument, the Basque Institutions have undertaken a clear commitment to the creative industries supporting different sectors -architecture, art, audiovisuals, digital contents, advertising, fashion, gastronomy, graphic design, handcrafts, interior design, photography, product design, and videogames-, to create new links that make creativity happen in Bilbao Bizkaia. Every year in the anniversary of the City "Bilbao opens at night". Cultural spaces of the city open their doors, change their appearance or they host a show to offer the public an unusual and very different cultural visit. Many outstanding professionals in different fields of action: literature, music or theatre, are in charge of "giving life" to each of the spaces. Companies and local groups have a strong presence in the programme, representatives of the cultural and artistic fabric of the city, which is also part of its heritage. Design innovation has become an essential tool to improve the competitiveness and quality of life in cities, and is necessary to enhance collaborative public-private environments with direct participation from the administrations, universities and different economic and professional agents. This is the direction Bilbao has followed to achieve its transformation. There are 15 major projects distributed in the areas of Urban Solutions; Art & Technology; and Tourism, Health & Wellness that have transformed the city in the past years, and that have opened the path to continue the renewal of the City. Bilbao Art District is a joint-initiative promoted by the City Council of Billbao and the Provincial Council of Bizkaia, in which the Guggenheim and Fine Arts Museums, and the Rekalde Art Centre as well as local art galleries are involved. On 13 and 14 May, Bilbao celebrates like other European cities: Berlin, Milan, London, Helsinki or Oslo, the Weekend of the Arts, in which the streets of the Art District are full of culture and art. Live music, performances, workshops, outdoor painting, entertainment, activities for all ages and special hours in galleries and museums to feel and live a unique experience. Bilbao Urban Evolution. Bilbao today is a prime example of urban restructuring, having transitioned from an industrial city to a city of services and culture. Discover the urban evolution of Bilbao visually and intuitively by taking a historical look at the most relevant projects undertaken in the process. Culture plays a vital role as a driver of economic activity and social transformation of Bilbao within the development strategy of the city. Since the early 90s, when Bilbao began its deep economic and urban transformation, Culture, along with the implementation of the Guggenheim Bilbao Museum, has been a key and constant factor in strategy led by the City for economic development, job creation and social cohesion in the city. The implementation of the municipal cultural policy developed during the last two decades has resulted in the consolidation of Bilbao as a cultural reference city, with major cultural facilities which contribute to the economy in terms of wealth creation, maintenance and creation of employment and Image of the city. One of Bilbao’s architectural icons is emerging again in the heart of town. It is Alhóndiga (1909), the old wine warehouse designed by Ricardo Bastida, which has morphed into Azkuna Zentroa; a place swarming with activity for all and sundry that is expected to become a new leisure and cultural hub. Designed by American architect Frank Gehry, the Guggenheim Museum Bilbao building represents a magnificent example of the most groundbreaking 20th-century architecture. With 24,000 m2, of which 11,000 are dedicated to exhibition space, the Museum represents an architectural landmark of audacious configuration and innovating design, providing a seductive backdrop for the art exhibited in it. Altogether, Gehry's design creates a spectacular sculpture-like structure, perfectly integrated within Bilbao's urban pattern and its surrounding area. Seekers - Zorrotzaurre, the creative island where dreams come true. 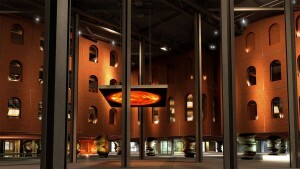 The Zorrotzaurre project is the latest major urban renewal plan launched in Bilbao. It is an integral and sustainable scheme that recuperates a currently derelict site to convert it into a new quarter, where culture and different creative areas go hand in hand producing a new, dynamic, fresh and innovative working atmosphere that enables the development of design, virtual reality, audiovisual, videogames and cultural production artistic projects. Zorrotzaurre is a space to dream, design, create, grow and believe. Travellers and visitors of the XXIst century, are astonished by the aesthetic and functionality exuded by this splendid nineteenth-century building, in a permanent dialogue with the most cutting-edge vision. Bilbao is a cinema city par excellence. Its streets have been the set for 110 feature films, short films and documentaries for over a century and almost 100 advertisements in the past thirty years. Bilbao was interesting as a filming location when it had a grey, rainy, harsh industrial profile. It is equally interesting now, when it boasts buildings of cutting edge design; sunny, colourful parks; families riding bikes and museums of international renown. Inaugurated on February 19th 1999, The Euskalduna Conference Centre and Concert Hall is a very unique building; one of the flagships of the new Bilbao of the 21st century. Designed by architects Federico Soriano and Dolores Palacios as a vessel permanently under construction that stands in a dock on the site of the former Euskalduna Shipyard, the Conference Centre received the 2001 Enric Miralles Award at the 6th Biennial of Spanish Architecture.